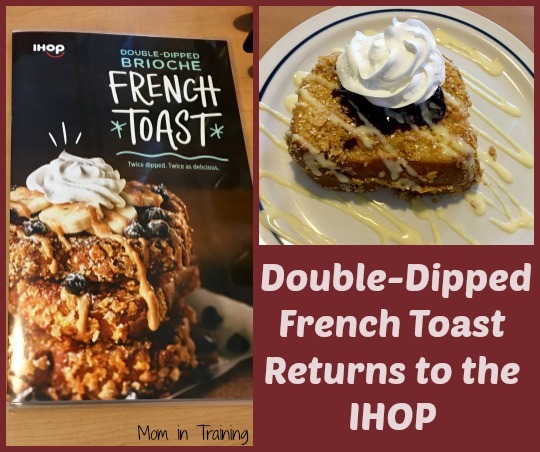 I remember the first time I had the Double-Dipped French Toast at IHOP. (You can see my previous post here.) I immediately fell in love with the crispy outside and the yummy fruit topping. So naturally when I heard it was making a come back I was really excited about trying it again. I have to say I was a bit on the disappointed side this time though. Last time I went there was a bunch of fruit that was spread all over the top of my french toast. And as you can see this time it was just a small little bit. Heck I think there was more whipped cream than fruit. A little bit of a let down, but I still enjoyed it. I've worked in a restaurant before so I know that depending on who is working the kitchen food can come out different every day of the week. So I enjoyed what little fruit I did get and then used flavored syrup for the rest of my french toast. 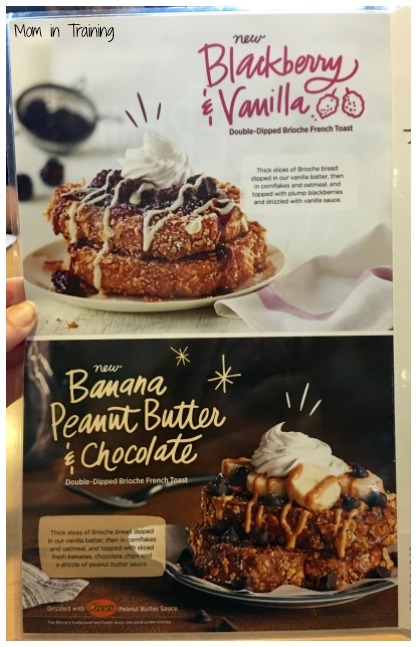 Double Dipped French toast will be available at participating IHOP restaurants between now and April 10, 2016. I haven't been to Ihop in a long time. I would love to visit just so I could try this. It looks so yummy!I love french toast!!!!! The crunchy outside definitely gives it a whole new spin. I love the flavor of it. I have not tried the double dipped french toast but it sure looks good. I want to try the Banana, Peanut Butter & Chocolate.